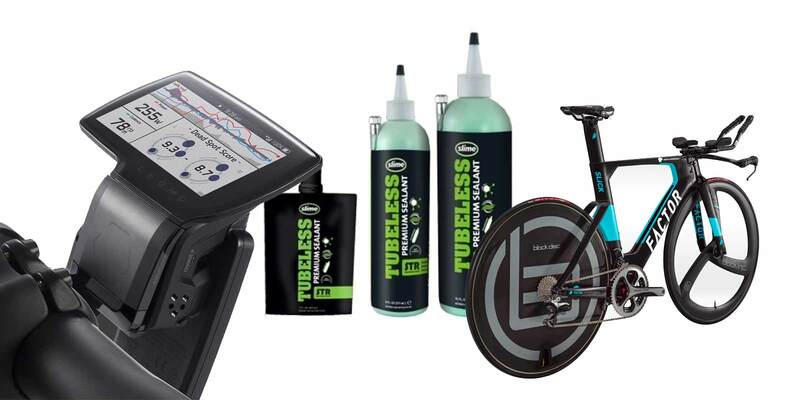 We’ve got an eclectic mash up of the latest new gear for Wednesday, March 22nd from the PELOTON Service Course – the Factor Slick TT bike, SLIME’s new STR sealant and a new motion capture device called the Leomo Type-R. Enjoy. We’re not saying Factor’s new TT is ‘slick’. It’s actually called the Slick and yes, it is ‘slick’ too. 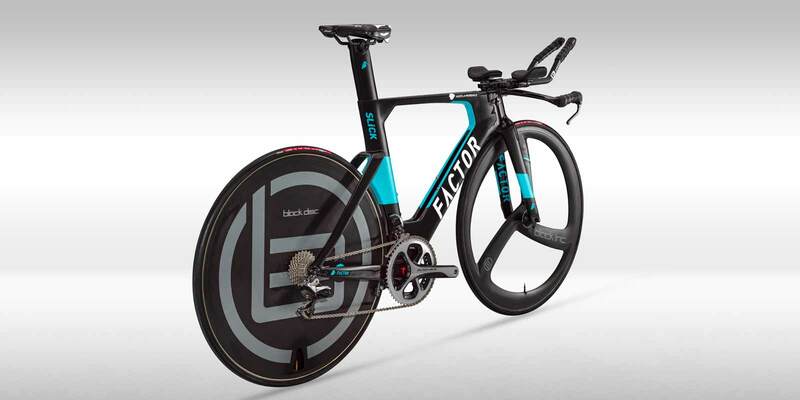 While Factor has undergone an ownership change and its newest road bike, the O2, forgoes much of the novel design we’ve seen from Factor in the past, that influence lives on in the new Factor Slick, the TT bike that AG2R will be racing this season. RELATED: The fastest GPS ever made? Check out the new Wahoo ELEMNT Bolt GPS Cycling Computer. Factor claims the Twin Vane design also adds stiffness to the bike’s pedaling platform. Drag numbers or comparative test results have not been released yet. Tubeless is here to stay and it’s not just the tires that keep getting better, the sealants are too. The right sealant can make all the difference by removing some tubeless headaches. If it can plug bigger holes and last longer, you won’t have to wrestle with the tires and rims during road side flat repair or recharge too often. The latest from Slime, out of San Luis Obispo, is Slime STR Sealant. It calls the sealant’s ability find and plug multiple big holes – up to a 1/4” – ‘Web Tech’, and ‘Flow Motion’ is the formula that keeps it liquid longer so you won’t be having to recharge it very often. The formula also prevents the small sealant ‘boogers’ from forming when you fill the tire with CO2. File this under ‘no stone unturned’ in the pursuit of performance. Leomo has just announced a real world motion capture device called the Type-R. It consists of a large touch screen head unit and five separate Bluetooth sensors with gyroscopes and accelerometers to track motion. The sensors are worn in the shoe, above the knee and at the sacrum and transmit data to the head unit for analyzation after. The Type-R allows a rider’s form and technique to be tracked in real world situations the lab or fit studio cannot replicate. This is not data every rider will need, and in some respects Leomo isn’t sure what can actually be done with data. Like Pioneer and its pedal vectors, Leomo leaving much of that up to the coaches. It seems fair to say that high level riders returning from injury or with some physiological abnormalities could benefit from the technology. It’s not a large group to be sure. Knowing riders won’t be staring at motion analysis during a ride, the Leomo Type-R head unit is a fully functioning GPS with tracking and ANT + and Bluetooth connectivity and it is certainly a good looking piece of hardware. It is set up with the Leomo Link smart phone app and motion data is analyzed on Leomo’s own web interface.